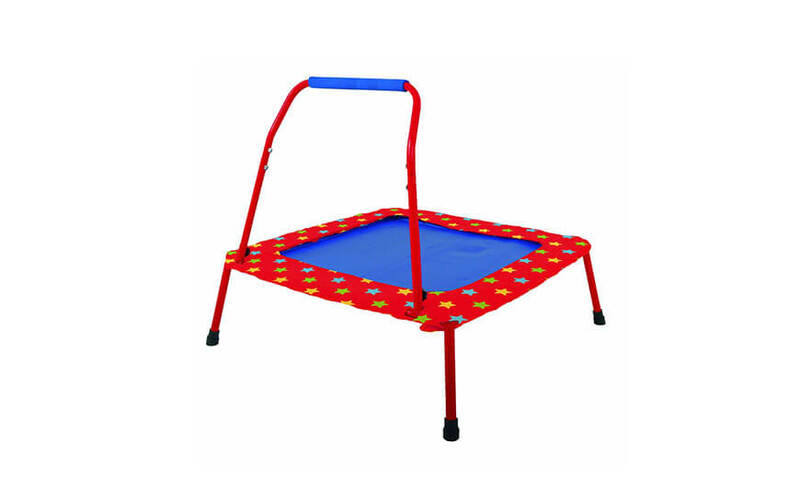 This time we are reviewing trampoline for kids with self-explanatory name – My First Trampoline. 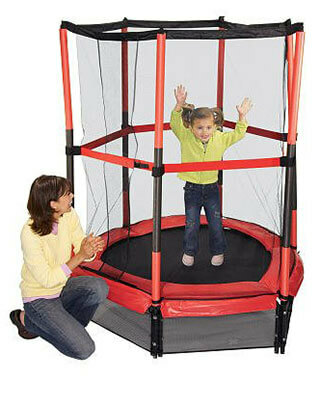 It is made for children age 2 – 6, and it is trying to be on top of list of best selling kids trampolines. 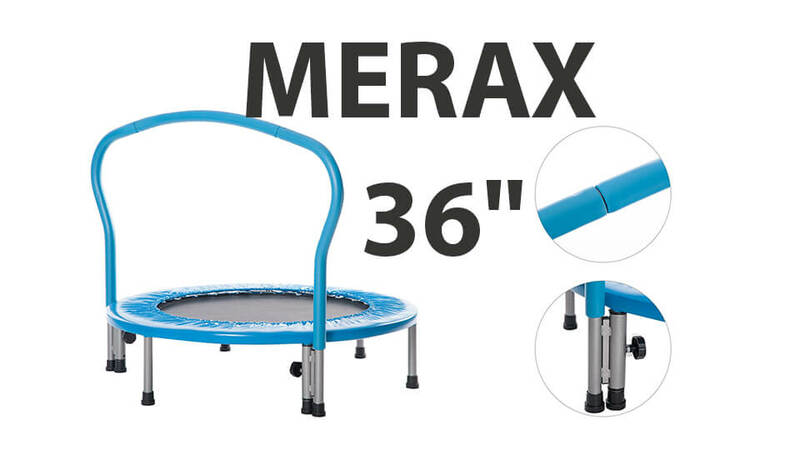 With very good quality parts (exceptions excluded) and with very affordable price, “My First Trampoline” should really be yours first, starter trampoline. Frame: Trampoline frame is made out of steel and it is actually pretty light, making it suitable for indoor use as heavier gusts of wind would most likely tip it over. Overall, frame is surprisingly sturdy, so weight limit is as manufacturer stated. Springs: No steel springs but safer bungee cords on this trampoline. Bungee spring tool is provided in the kit so worries there. Overall there is 30 bungee cords you will need to tie down to frame and mat. Mat: Standard trampoline mat made from polyvinyl. No worries there as mat will last for several years. Enclosure: Enclosure with those combinations of colors (red+black) looks really cool. It feels very sturdy so there is no way that smaller children would fall out of it, meaning it will do the job just fine. The only issues with it that foam padding on enclosure poles is low quality, so forget about outdoor use. Padding: Trampoline pad covers frame and bungee cords so no accidental steps on it will occur. Padding itself is thick enough so it will protect kids in case of fall. Assembly: Assembly is pretty straight-forward and it will take an hour with two people to assemble. 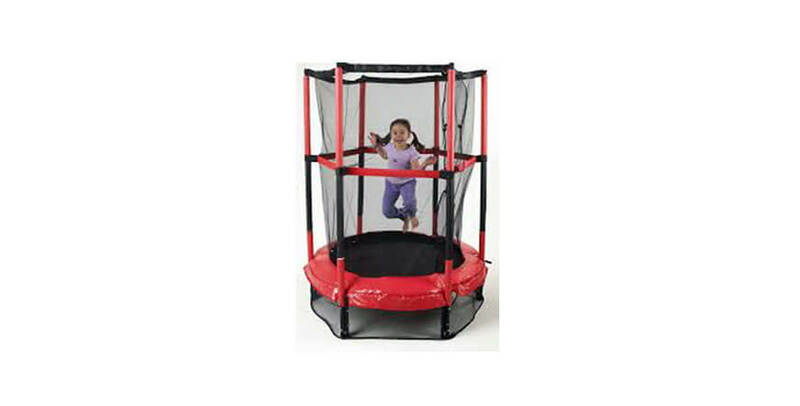 Good choice as starter trampoline, most suitable for kids between 2 - 5 years. Sturdy, good quality with some drawbacks - poor quality of padding on poles.